It’s an indisputable fact – our bodies change as we get older. Thus, dental needs will change. These dental changes are different for people, depending on their physical characteristics, daily lifestyle and dietary habits, and medical conditions. 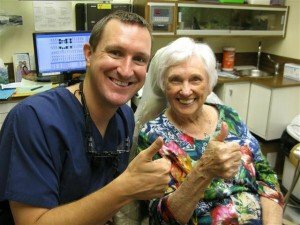 Dr. Nugent has special training to deal with Senior Citizen Dental Needs. Tooth Color: Teeth are porous. Decades of consuming coffee, tea, or tobacco stains the teeth. That is why senior citizens have dark, yellow or gray teeth. To combat the years of staining, simple teeth whitening can restore the teeth to a more youthful appearance. Fillings: If you natural tooth fail you will receive a filling. These fillings will also wear out. The fillings can weaken or crack. Also, you teeth can decay around the edge of a tooth in a process called recurrent decay. 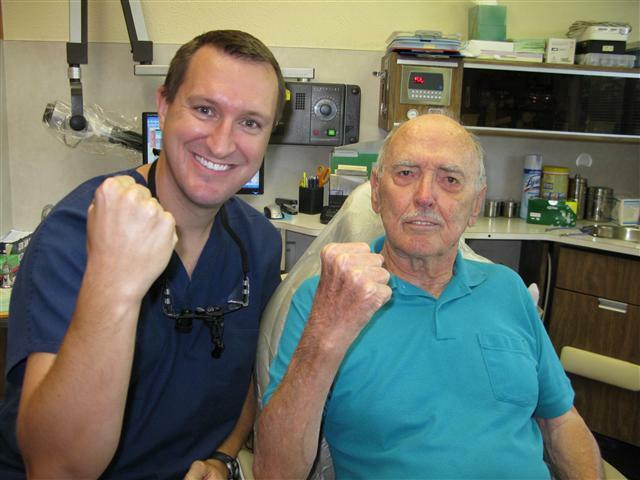 Regular visits with Dr. Nugent and team will allow them to evaluate the condition of your fillings. Gum Disease: Periodontal disease is when the gum tissue becomes infected with bacteria. The bacteria are producing waste products and toxins that destroy the gum tissue and bone. With a lack of support structure the teeth become loose and mobile. If your gum tissue is red or bleeding contact Dr. Nugent’s office immediately. Dry Mouth: As humans age there is a decrease in saliva output. Furthermore, the saliva changes from watery to a mucus-like consistency. Also, medications cause dry mouth. Dry mouth is a serious problem for seniors because they lose the protective function of saliva. Saliva dilutes the acid from bacteria and washes away bacteria and food particles. Senior Citizens with dry mouth often experience sudden and frequent cavities. Root Cavities: When gums recede, the portion of the tooth that used to be below the gum line is now exposed. The roots of teeth are much softer then the top enamel portion of the tooth. Plaque and bacteria like to hang out at the junction of the gum tissue and tooth. Because the root surface is softer, decay can happen much faster on the roots of teeth. Regular Exams: Dr. Nugent and the hygienists will check your mouth, teeth, and jaw for any dental problems. These regular checkups enable our team to identify problems early. 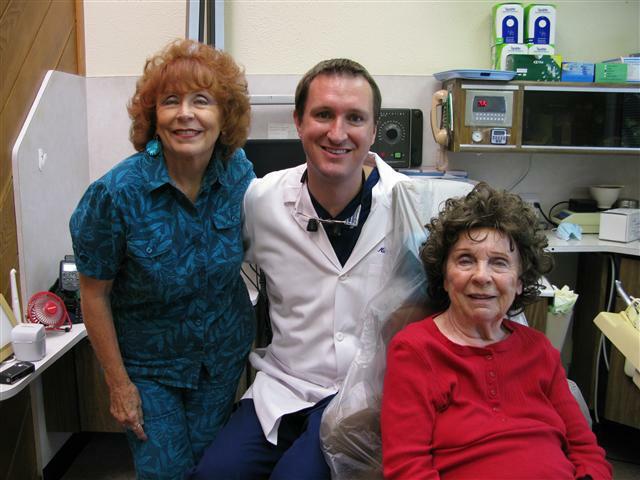 Good dental care, regular check-ups, and good nutrition are the keys to really keep you smiling in your senior years! Come visit us at 3421 Burke Rd Ste A, Pasadena Texas 77504. Let us show you how good dentistry can be. Call us today at 713-941-8261.